For many gardeners, having the perfect plants in just the right arrangement is not enough. They want their gardens to be distinct, to stand out, and to be a welcoming presence at their home. For this, many people like to add water fountains or turn to lighting for their gardens in an effort to draw the eye, display their plants and create a cozy glow. The problem with many lighting sources, though, is that they require cords and wires and constant bulb replacement. The easy answer to this is, of course, to use solar lighting. Solar lighting provides a simple, attractive and efficient way to light a garden without the complications of cords and bulbs. 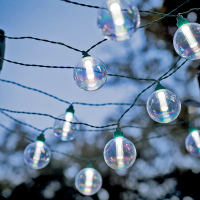 And though everyone is familiar with traditional styles of solar lighting, there is so much more that this type of lighting can offer to a garden. 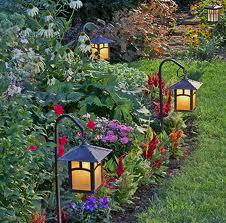 Traditional solar garden lights are one of the most popular methods of outdoor lighting today. Because they draw their power from the sun, they require no power cords or outdoor electric outlets, and can be placed wherever the gardener wishes. They are usually found in simple styles that can either contribute to the decor of the garden or be effectively hidden. 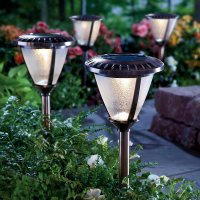 Solar garden lights are most commonly seen as simple bulbs in hard plastic housing, and mounted on a garden stake. The finishes vary, as do the materials used, so that any gardener can find the perfect fit. Solar garden globes have evolved from garden gazing balls that have been seen in gardens for years. These globes are a round glass or plastic ball inside of which there is a solar powered light. These solar garden globes can be placed on a stand designed specifically for them, on the ground or inside of a planter. When they light up at night, they provide a soft, sometimes colored glow in the area in which they are placed. 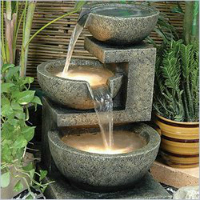 Solar garden fountains are more products which have evolved from garden decorations that have been around for years. 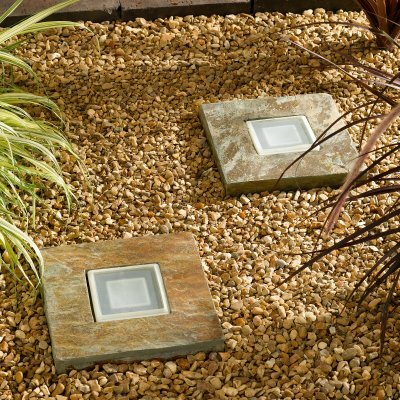 Like traditional garden fountains, solar garden fountains provide an attractive water feature to any garden. Unlike traditional fountains, solar fountains do not require power cords or motors, but instead are run by the sun’s energy. This makes it easy to place a fountain anywhere in the garden without worrying about a power source. Another traditional style that has been adapted are solar bird baths. These bird baths, like the garden fountains, no longer require power cords to keep water circulation going or water features operating properly. Instead, solar bird baths harness the energy of the sun to keep the water fresh and moving. Like traditional bird baths, they come in a variety of styles and sizes. 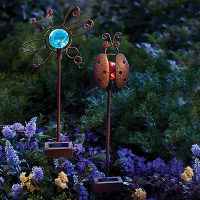 Solar garden statues are another way to add both light and decor to any garden space. 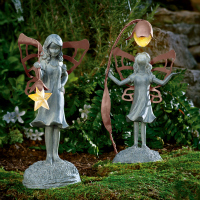 These statues, which come in many sizes and forms, not only provide whimsical decoration gardens, they also contain a solar light bulb, which puts out a soft, sometimes colored glow. 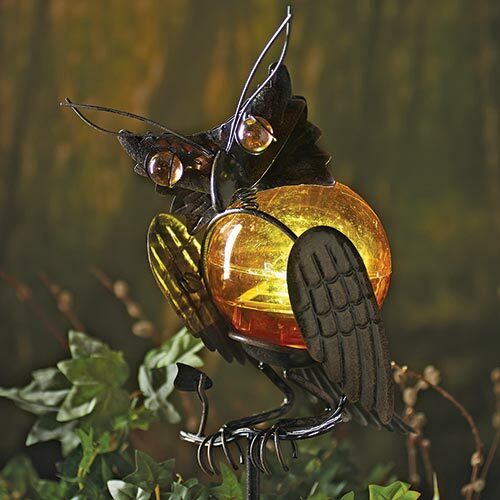 The most popular solar garden statues, like their more traditional counterparts, are animals and gnomes, though it is easy to find them in other styles. Solar Garden Decor is not limited to the styles mentioned here. It is easy to find almost anything for the garden that is solar capable. Solar garden decor is becoming more and more popular as more gardeners see the potential of being unencumbered by cords, wires and pumps.